In the wake of Activision Blizzard cutting costs, it looks like they may be laying off hundreds of staff members, many of whom are still unaware of their fate. As the company prepares for their earnings call on Tuesday, February 12, 2019, things are looking rough. It also looks like the company’s stock has dropped significantly—7.6% to be exact—adding to the mound of issues they’ve faced within the past few months. Many are predicting that the results of the earnings call tomorrow will show a loss, which may explain the sudden change in stock, as investors might have sold in anticipation of this bad news. Activision Blizzard has gone through many changes recently, most notably, the separation from Bungie, developers of the Destiny series. Aside from that, there were numerous executive staff shifts, with the previous CFO, Spencer Neumann being terminated, as well as the departures of other high-paid staff. We will likely learn more about just how many staff members will be laid off after the earnings call tomorrow. Hopefully, the amount of people affected will be minimal, but that may not be the case, if reports from Jason Schreier of Kotaku are to believed. Industry professionals on Twitter have been great about sharing job postings across various studios, attempting to assist those impacted by layoffs. 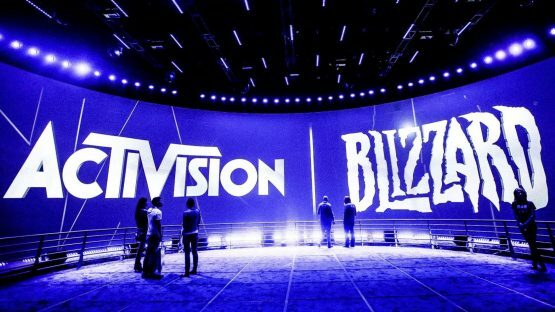 Activision Blizzard has under-performed recently, leading them to go through a restructuring process in addition to cutting costs where they can. They are also currently under investigation for securities fraud following their split with Bungie. It’s unclear what this means, exactly, but we will likely find out more in the near future. We are unsure what the future of Activision Blizzard will look like, but we do know the company wants to focus on releasing games more often to increase profits. We’ll have more to report after tomorrow’s earnings call and we wish everyone the best.